When I first started working in publishing, I was told early in the process for one of my titles that I’d need to hand it over to our production team “ready to go” because they were going to send it out to a “book packager.” At the time, I had no idea what book packaging was, but was quickly pleased to learn just how much simpler it can make the process of book publishing – especially working for a smaller house. Publishing houses place a lot of emphasis on the acquisitions part of the process. Finding and signing great books and great authors is time-intensive. It’s the bedrock of the whole process (because, after all, what’s a publishing house without manuscripts?). This is all done in-house with acquisitions editors who are experts – not only in publishing – but in subject matter, as well. However, in production, there’s often a need to outsource and that’s where book packaging comes in. Book packaging is the process of outsourcing the production elements of publishing to ease the stress on the publishing house (many book packagers – StyleMatters included – will even handle the printing process!). The in-house acquisitions and production teams will compile everything necessary for the book – manuscript, illustrations, etc. – and send it to the packager to complete the editing, layout, and cover design processes expediently and professionally. It’s one of the many ways that savvy presses are increasing the number of titles they carry each season without overworking their staff. 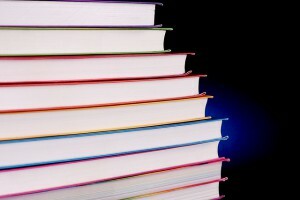 Interested in learning more about book packaging? Check out StyleMatters’ book packaging offerings!